We know you're always looking for more horsepower, more torque and more laps around the track. Always choose authentic Mopar® Performance Parts and experience what makes Mopar® different. Authentic performance starts with Authentic Mopar Performance Parts. 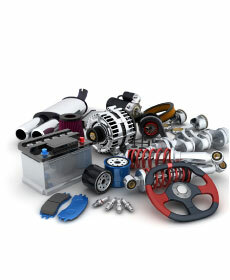 We've got all the official parts you need for your Dodge Challenger, Charger, Dart, Viper, 300 or Ram Truck. See Korf Motors today for details.